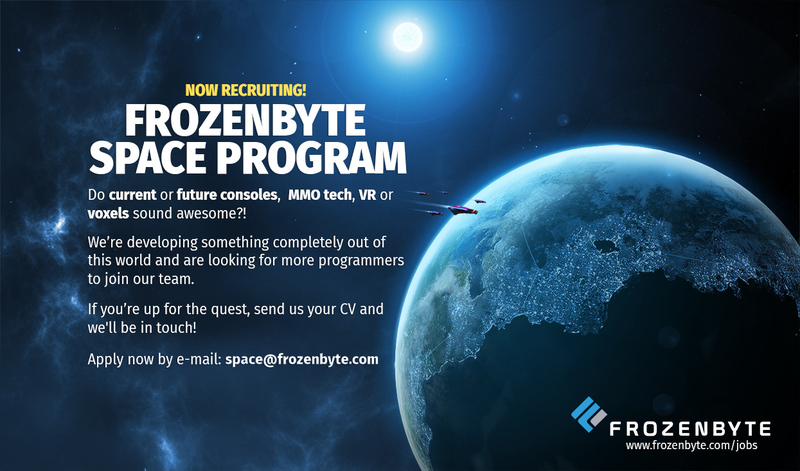 The Frozenbyte team is creating something completely out of this world, and we are looking talented programmers to join us! If you’d be up for this task of re-defining high-end gaming experiences and programming world-class games with awesome co-workers, send your CV to [email protected]. For more information about us and our open positions, please see frozenbyte.com/jobs. See you in the orbit!